Are you a home-owner looking for a good deal on a new house? Are you a real estate agent looking to help your client find the best overall package? Now is the time to buy. According to the experts, January is the best time of year to buy a house in terms of price, mortgage and interest rates, and the number of buyers on the market compared to the number of houses for sale. Typically, spring and summer are the most popular times to buy a home. The weather is warm, the days are longer, and the kids are out of school. However, you may pay a pretty penny for buying during the more pleasant months of the year. Those who don’t mind facing the cold weather in January have the potential of buying for less, according to a study done by a September 2016 NerdWallet study. The study stated that residential listing prices were on average 8.45 percent lower during the first part of the year than in June through August. 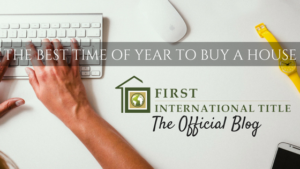 Chris Harden, owner and broker of RE/MAX Four Corners in McKinney, TX and RE/MAX Prestige in Celina, TX, said that the best time to buy a house is going to be in the early part of the year between January and April. He said the interest rates are still low during this time of year but will continue to increase as buyers get closer to the summer time. Mortgage rates will also rise as the year goes on. Harden noted that the number of buyers on the market is also down. “That means that once a seller gets an offer, they’re more likely to negotiate because they don’t have as many buyers putting in offers,” Harden added. He said that now is the time for buyers to save money and get a better deal! What Does This Mean for Brokers? Real estate agents are always busy, even during the slower months. If you’re not showing houses, you’re business planning and focusing on other administrative or marketing tactics. Harden suggests planning your business for the year ahead. “Right now is always a great time to start planting seeds for future leads,” Harden said. He said agents should start contacting clients now and ask, “Are you still interested in buying a house?” in order to draw in responses you may not get otherwise. Harden added that it’s better to call, text, or leave a video message to potential clients looking to buy. He said to avoid email messages. So, whatever you find yourself focusing on this New Year, all of us at First Western/International Title truly hope you find new business and meet your goals for 2018. So you’ve recently tackled the world of social media to help grow your business. You have a flourishing Facebook page and the leads are starting to roll in. We all know Facebook has many benefits as it is easy to use and it’s full of potential clients. But let’s talk about Instagram. Contrary to belief, Instagram is more than food shots and selfies! With over 700 million users, this platform is actually a very beneficial tool for your real estate marketing efforts. This visually heavy medium is ideal for showcasing photos and videos of your listings, happy clients, and behind the scenes of your day to day grind. But here’s the catch: you must post original content. Remember, your followers are following YOU. Actively posting original and unique content will catch the eye of your next customer. This will also show potential clients that you are working hard to sell or find that home fast. Instagram is a great tool to drive client engagement. Actively posting content and responding to comments is a start but you must do more than that if you want a successful page. I encourage you to start engaging with content posted by your community and local influencers. It is kind of like networking, the more you do it the more you will gain. 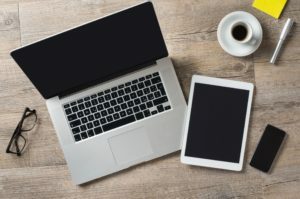 Not only will you build a strong online presence, you will attract new customers, increase word of mouth referrals, and maintain client loyalty. The next step to Instagram victory, is to hashtag, hashtag, hashtag! If you have no idea where to start, I suggest researching the trending real estate and local hashtags. By picking industry appropriate and popular hashtags, you will place your posts right in front of your target audience. Instagram can be easy and fun! With a little bit of effort and some creativity, your page can increase your business in no time. Just remember, there are many Realtors out there but only one you! Let your personality shine. Did you love this blog? 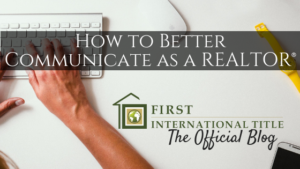 Stay tuned for more real estate tips and tricks at the one and only First International Title.